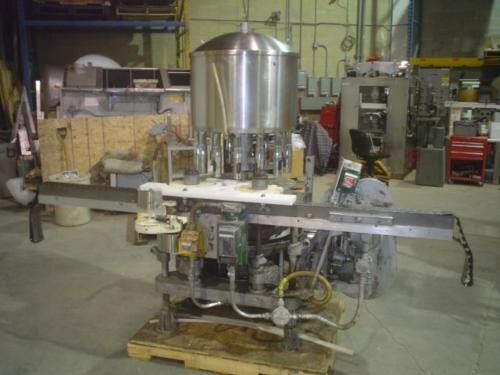 Used Horix 14 Head Rotary Vacuum Filler, all Stainless Steel with rising tables, (pedestals), 3/16" diameter nozzles, star wheels, explosion proof. Can run at 100 to 150 bottles per minute, depending on size and shape of bottle. Electrics: .75 HP 1Ph/60Hz/115/230V. Was Manufactured in early 1990's last filling Nail Polish. Available for immediate delivery.